If you have played Defense of the Ancients (DOTA), you probably have heard of this game already. Mobile Legends: Bang Bang! (MLBB) is a new game playable in android and apple devices. Like DOTA and LOL, MLBB is a Multiplayer Online Battle Arena (MOBA)-type of game. Hence, the player will be paired randomly with other players all over the world to battle another team. Subsequently, the main goal of the game is to reach the opposing team’s base and destroy its crystal and claim victory. 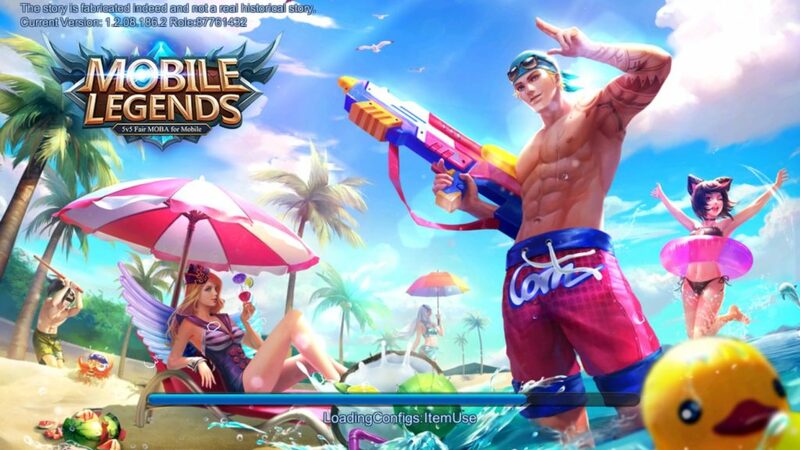 With over 50 million overall downloads, MLBB is arguably the most famous MOBA game both in android and in apple devices. Upon joining the Mobile Legends game, a player can opt to either play alone or queue with his/her friends. After pairing with a random opposing team, the players will choose the hero they ought to play depending on their play style. In essence, there are different character classes to pick in playing as MLBB is a team fight-centered game. The goal, again, is to destroy the crystal that is situated in the enemies’ base. Consequently, the team will have to kill other players and destroy obstructions such as towers to achieve the ultimate goal. The game also contains a ranking system. This system allows players to eventually rise up to the top, battling competitive players that are on par with their skill level. Players start from being a measly Warrior to eventually be a prestigious Mythic player. Fighter – Arguably the cluster that contains the easiest heroes to master. The Fighter class contains characters that have both high damage and durability. In short, they kill fast and die slow. Mage – This group of havoc-makers are focused on skills, DPS, and AOE attacks. In effect, mages tend to stay at the back of team fights waiting for the perfect opportunity to wreak havoc. Marksman – If you are motivated by guns, arrows, and even soccer balls – This bunch of long-ranged vandals is surely for you. Usually, marksmen avoid face-to-face confrontation and just shoots at a very long distance. Assassin – Who doesn’t shiver at the sound of the word “Assassins”. If hiding in the bushes and ambushing roaming enemies is your ‘pearl in the shell’ then this class is for you. With high DPS and formidable mobility, you’ll surely be chasing enemies with their tails in between their legs. Tank – The class that contains the biggest and bulkiest characters – tanks are equipped with high durability/HP and magnificent armor. Hence, tanks often start group clashes and stay as the front-line defense of a team. Support – If you prefer not getting directly toe to toe with enemies, this class is probably for you. Stellar team buffs such as defense, attack, agility, and HP boosts are the forte of these often cute looking characters. 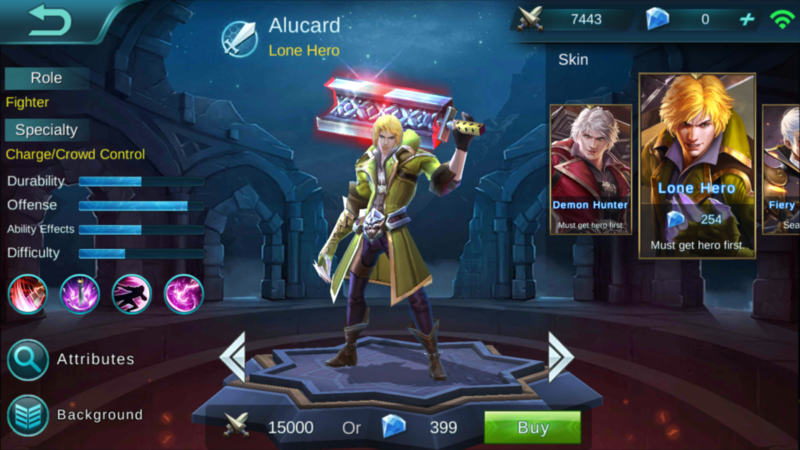 In MLBB, there is freedom. Freedom to choose which type of fight you’d like to play. These types of games vary from a relaxation level to an eerily irritating and hard one. All of these matches can be played either solo (paired with random players) or with your friends. Classic – The most common type of game. Engage in a battle against opponents with nothing to lose but your win rate and your pride. Ranked – As previously stated, the game contains a ranking system that allows fairer competition within teams and individuals that are on par with each other. This is the game-type that fosters this. For every win, a player gains a star and for every lose, a player loses one. Eventually gaining stars would promote a player to an higher rank and continuously losing stars would mean demotion to a player. Brawl – A relatively shorter round, players are forced to choose between two pre-determined characters offered by the game. The Brawl map only contains 1 lane and thus further caters more team brawls. VS A.I. – Often used for practice and farming, this game-type allows a player to fight against enemy A.I.s, allowing for a more casual and less pressured gameplays. Custom – If you want to tweak settings and maps, play with and against your friends without losing anything, custom games are for you. The custom game-type allows players to manipulate the settings of the game and even the numbers of opponents he or she wants to be with and/or fight against. Skins – Who doesn’t want to wreck enemies on style? No one! Therefore, the game offers skins for each and every character. Chat – Server chats and team chats are readily available for easier in-game communication. Credibility System – Everybody hates a teammate that suddenly AFKs. Fortunately, Mobile Legends: Bang Bang hates them too. Therefore, the game has devised a system that properly rewards players that are constant on their gameplays and punish players that violate basic game rules. Basic game rules are as such: No intentional feeding, no profanity, no AFKing, no using of cheats and as such. Emblem System – Emblems are equipment-like items that you equip a certain character based on his or her class or specialty. There are emblems for fighters, mages, assassins, tanks and such. Event System – The game constantly updates and therefore hosts different events on different occasions. Events can be very rewarding as some could grant free skins and free different game currencies. Streaming System – Players are allowed to either watch streamers play their games or even stream their own gameplay. Streamers can receive gifts such as game currencies and skins. How To Be A Mobile Legends Pro? Surely, being a professional MLBB player is not an easy thing to achieve. Players are encouraged to watch tutorials and gameplays from professional gamers and streamers to improve their overall game outlook. Moreover, equipment and emblem mastery is also imperative to being a crafty MLBB pro. But most importantly, experience and constant playing is the best teacher. Observe that the top ranking players have thousands and thousands of games played. Whenever you are on a losing streak and you feel very hopeless, remember that every pro player came from that. Never stop trying and who knows, you might be the next best MLBB player. ← Free Robux Using This New Roblox Hack? nice one! gonna share to my friends this working hack!